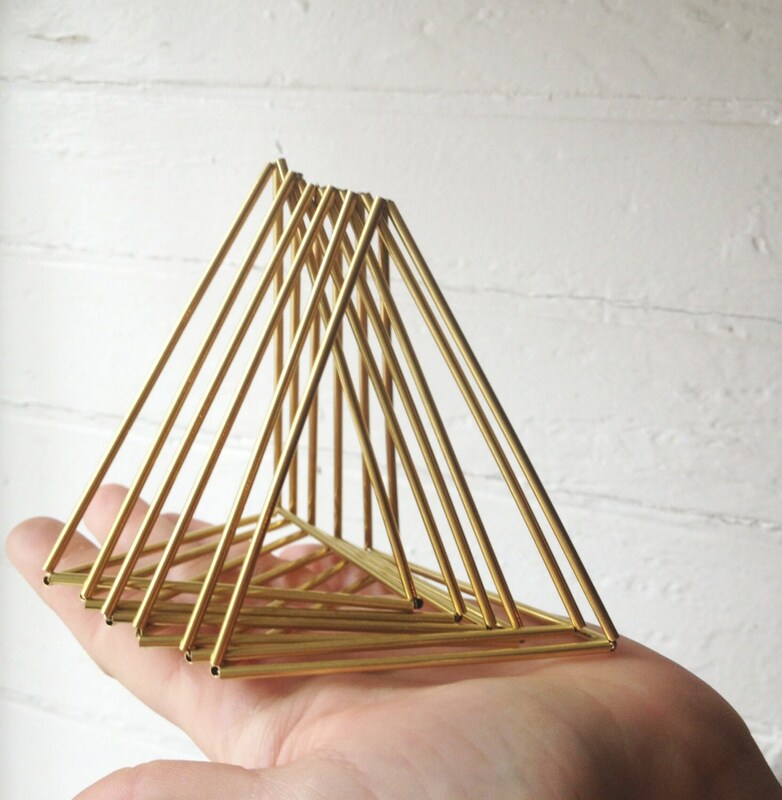 5 brass planters or ornaments based on traditional Scandinavian himmeli mobiles. These wonderfully delicate pieces are surprisingly modern and will compliment just about any home. Hang together, or individually - in a baby room, on your Christmas tree, or in your house all year round. Their silhouettes constantly shift as they spin while casting intriguing shadows.